When you have confirmed riders like Leandro Moreira, Nick Bruce, Jonathan Camacho, Pat Casey, Irek Rizaev, Kenneth Tencio and two of the Peraza brothers on the riders list, you better make sure you head down the comp. 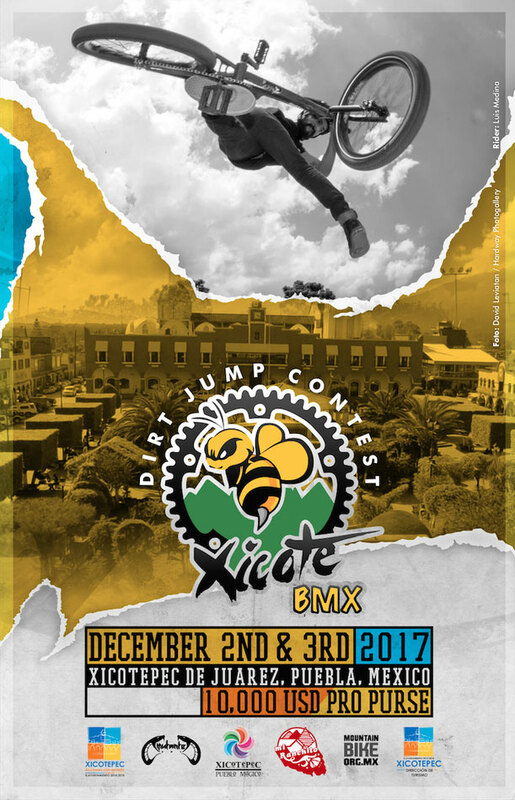 Dirt this time and it will be held in XICOTEPEC, PUEBLA, MEXICO. 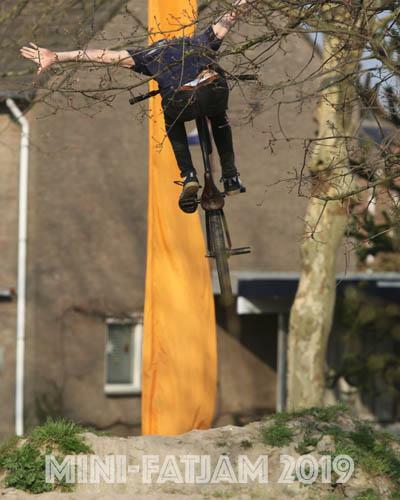 With a Pro purse of $ 10,000.= USD in the pot you can expect some craziness on DECEMBER 2ND & 3RD during the XICOTE BMX BMX dirt contest. Mix in the wild locals and you are entering a party you don't want to miss. A big roll-in will lead to three doubles followed by a quarter that leads to either the left or the right depending on where you want to go. The Xicote Best Trick award is worth $1,000.= bucks so expect even more madness when that goes on. After our successful Art in the Parks project the park is looking better than it ever has thanks to the work of Lamkat and Laura Alvarez. 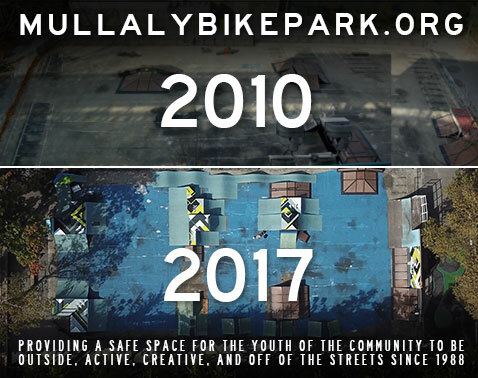 The past seven years has been a great journey as the park transformed and our community grew bringing in new riders of all ages. Thanks to supporters like you we have been able to turn around our space with the help of volunteers, community organizations, bicycle companies, and local politicians who have supported our project. We could not be happier with how this year has gone, and are looking forward to a great 30th year in 2018, with more great events, new additions to the park, and fun for all ages. The park is currently closed Tuesday and Thursday until summer season begins, and the park is free to use as always. Henley's Maverick concrete is open, enjoy! 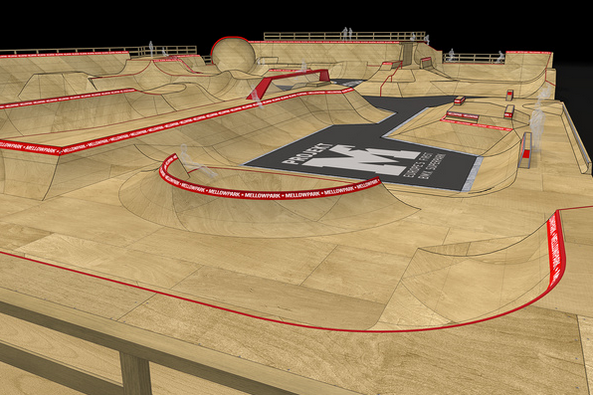 For the first time in its history, Mellowpark in Berlin has started a crowdfunding campaign to finance a new project. By supporting this campaign, bike enthusiasts, fans and visitors of Europe’s biggest skate- and BMX-park can help with the creation of the largest and most spectacular ramp-paradise in Europe. With up to 6-meter high ramps, endless lines and over 3000sqm of space, the planned BMX-Superpark in Berlin would blow the dimensions of what Europe’s BMX-scene is used to so far. Over the next 4 weeks, the crew behind Mellowpark is looking to collect the seed capital for their ‘Project M’ through crowdfunding. Rick Thorne's Pool Seekers "Furstcastle". The Pool Seekers hunt down and session 'Furstcastle' the biggest backyard pool in America which holds 200,000 gallons of water. The boys were beyond stoked for this legendary session. The Pool Seekers shred in the desert with the legendary Steve Alba (aka "‘Salba"), one of the skateboarding’s truest pool skaters in the game. Salba gives us the ultimate history lesson in pool skating. Skate or die, party at the pool. Come Lend a Hand at Mullaly Park this Saturday! Come Lend a Hand this Saturday! It's that time of year again, the days are getting longer, the sun is getting hotter, and the fun levels are rising at Mullaly! 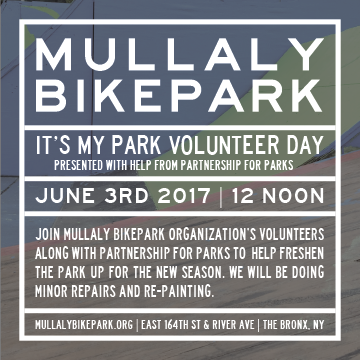 This weekend we are teaming up with Partnership for Parks to bring another It's My Park Volunteer Day to Mullaly Bikepark. We will be repainting, cleaning, and making repairs to the course with all of our great volunteers. Come by and pitch in at 12 noon we will start with supplies and gloves available for use! Also don't forget we are back to our SEVEN DAY A WEEK schedule. East 164th St. & River Ave.
For the first time ever BMX and Scooters were allowed to ride Area 51 Skatepark in Eindhoven, here's what went down! Leandro Overall | Caracas Trails by emalgumlugar. Um ótimo final de tarde em Caracas Trails com Leandro Overall, veja o que rolou nesse dia.